The English winter is a wonderful time to set your sights on a paradisiacal holiday. With plenty of scorching destinations from the picture perfect island escape to the expansive all inclusive resort nestled in the Caribbean. January is one of the most popular times to book a holiday, as this month is simply blessed by a whole plethora of beautiful locations with simply splendid weather. January’s stand out performers are the Maldives, the Caribbean and vast countries in Asia like Vietnam and Thailand. Read on to reveal our top where to holiday in January. In Australia, the country’s biggest cities are situated along the coastline. 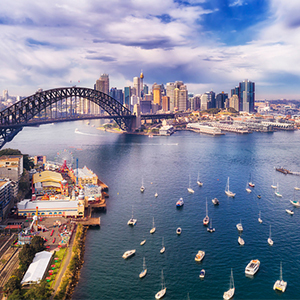 Sydney (around 23 degrees this time of year) is famous for its vibrant culture, lively bar scene and golden beaches, while Melbourne (around 21 in Jan) is known for its elegant architecture, its edgy art and music scene, and museums. To the north, you will find the multicultural tropical city of Darwin (which can get up to 29 degrees) that overlooks the Timor Sea and serves as the perfect base from which to visit Kakadu National Park or the Tiwi Islands, while to the south you can discover the cosmopolitan Tasmanian capital of Hobart where the weather is around 10 degrees in January. 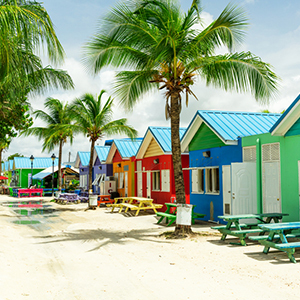 Made up of stunning islands dotted in the Caribbean sea, from Barbados to Bahamas, Antigua to St Lucia, Jamaica and Dominican Republic – there’s just so much choice in January for your Caribbean getaway! Barbados is the perfect escape for white sandy beaches with world-class dining and luxury resorts. You can expect picture-perfect temperatures of up to 28 degrees – as with Jamaica, which can also go as high as 28 degrees – imagine yourself drinking rum punch with the sound of reggae in the background as you top up your tan… St Lucia offers breathtaking vistas of rolling green hills, azure blue waters and the majestic Piton Mountains in the backdrop. If you’re thinking of St Lucia for your winter sun holiday in Jan, you can enjoy highs of 29 and lows of 24 with plenty of sunshine. 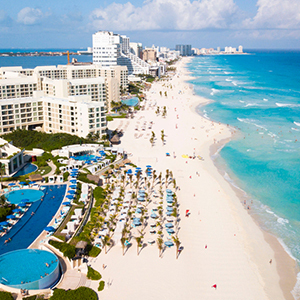 Located between the USA and Central America, Mexico serves as the perfect base to either explore while in America, or offering as a gateway to the Caribbean. Exuding with culture, culinary delights, history and natural wonders, Mexico holidays offer it all. Those who love to spend their holiday eyeing-up the destination’s history will love Tulum in January, which has temperatures averaging at 24 degrees, this Mayan city offers walled ruins close to the sea where you can spectate some pretty outstanding views. As a whole, the Riviera Maya offers a splendid beach life with an amazing restaurant and night scene to keep you up and busy! Sri Lanka in January is hot and sunny with temperature averages of 27 degrees, so combining the likes of Dubai and Maldives for a multi-centre holiday is perfect this time of year. 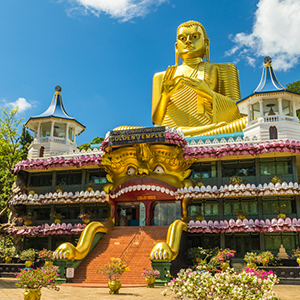 From its verdant tea plantations to its snow-white beaches, incredible World Heritage Sites – and, of course, the friendly and hospitable locals – Sri Lanka is blessed with many wonders, both natural and cultural. 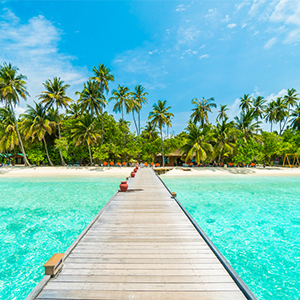 with 1,192 pristine islands clustered in a double chain of 26 atolls, Maldives holidays are characterised by its unsullied white beaches, turquoise lagoons and coral reefs rich with a colourful variety of marine life. Home to some of the best diving spots in the world, this island nation is also renowned for its luxury resorts and for the richness of its local culture. Thailand’s capital, Bangkok enjoys 9 hours of sunshine a day with warm temperatures between 21 and 32 degrees. Beach destinations such as Phuket, Koh Yao Noi and Koh Samui enjoys lovely temperatures if you’re looking to combine a city and beach. Thailand Holidays conjure wonderful images of exotic islands, decadent cities and a relaxed, friendly atmosphere; but the reality is so much better. No words can describe it you’ll just have to experience it for yourself. Explore the bustling city of Bangkok where you can sample scrumptious street food and sightsee the many temples around the city. 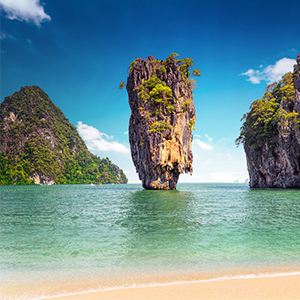 Phuket is a stunning beach destination to explore in the Thailand, here you will find the majestic limestone cliffs that rise above the emerald green sea. Island hopping is very popular in Phuket, explore the Phi Phi Islands, visit James Bond Island and visit the renowned Phi Phi islands. 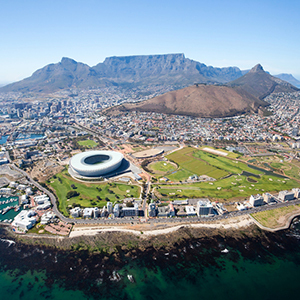 South Africa is a fantastic destination to visit in January, particularly Cape Town, with high temperatures reaching 28 degrees and with an average of 11 hours of sunlight a day. If you’re looking to combine your holiday with a safari, Kruger National Park reaches around 27 degrees making this the hottest month of the year here. Perfect for families and couples looking for romance, a South Africa holiday can vary depending on your passions. From thrilling game drives in one of the game reserves to sampling wine in one of the many sweeping vineyards in Cape Wine Lands District – a visit to Cape Town is a must too, see the penguins on Boulders Beach, abseil Table Mountain and dine and shop along the stunning V&A Waterfront. South America is a vast continent with 12 countries including Brazil, Columbia, Chile, Argentina, Peru and Galapagos Islands. Most rainfall happens in the months of May to November and the rest of the year is much drier. Brazil in January marks the beginning of summer, so this is the perfect time to visit with the average temperature being 26 degrees and highs of 30! 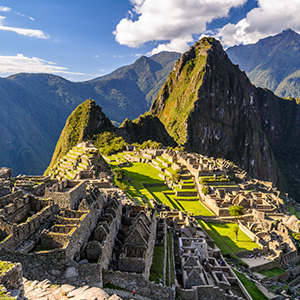 If Machu Picchu is on your bucket list, Peru is perfect to visit in January with an average temperature of 23 and highs of 26 degrees. Another bucket list for many, the Galapagos enjoys warm weather in January with blue skies, however it is common for afternoon showers to make an appearance! 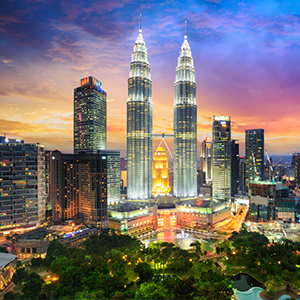 Kuala Lumpur is the capital of Malaysia and is a stunning destination to visit for a few nights before seeing more of Malaysia or elsewhere. In January, Kuala Lumpur enjoys mild weather and in the afternoon you can expect temperatures to rise to 32 degrees – so head inside enjoy the city views from the observation deck at the Petronas Towers! If you’re looking to combine your Kuala Lumpur holiday with Borneo, January is perfect, combining the natural wonders of Mount Kinabalu, the Seoiok Orang-Utan and a jungle of wilderness with the relaxation and indulgence or fabulous beach resorts – borneo is a tropical paradise waiting to be explored! Dubai holidays afford the ultimate location for your family holiday or special holiday for two with some of the world’s best hotels, attractions and enjoys warm temperatures year round. From the beach to the desert, Dubai offers plenty of experiences depending on your holiday style. 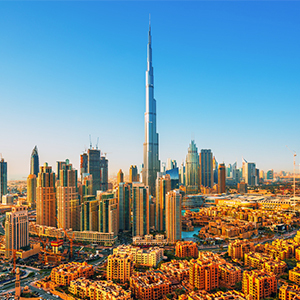 In the month of January, Dubai averages temperatures between 19 and 20 degrees and high temperatures of 24 degrees. For a true Dubai holiday experience, venture into the desert by four-wheel drive where you will leave the Dubai city skyline in your rear-view mirror and discover a different world of experiences. We love Atlantis the Palm for Dubai family holiday where you will be blown away by the impressive architectural design, luxurious accommodation options and world-class service with some of the best amenities in Dubai. With so much to see and do in New Zealand, from hiring out a campervan and exploring the open road, stopping off in Dunedin, which has the world’s steepest street – or seeing the film set of The Hobbit! 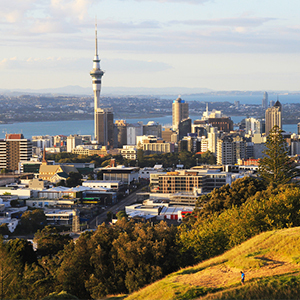 Alternatively, explore this fascinating country by cruise where you can see the stunning Milford Sound as well as exploring top destinations such as Auckland, Wellington and Christchurch. January is the height of summer in Auckland with average temperatures of 20 degrees and highs of 23 – perfect if you’re looking to be active! January is an ideal time of year to go skiing with a selection of ski resorts in Europe to choose from in destinations such as France, Austria, Switzerland and Finland. World-class skiing can be enjoyed at Val d’lsere resort in France, with upmarket boutiques, luxurious hotels and chalets and high-altitude glacial areas! In Austria, village of Soll is great for beginners. The Swiss Alps are also gorgeous this time of year as well as in the summer. 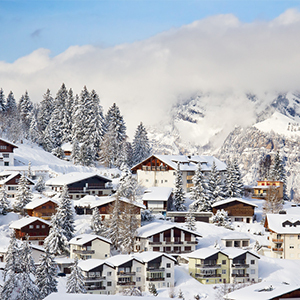 Top ski resorts include Zermatt and St. Moritz. If you’re looking to see Santa in Lapland over Christmas and spread your ski holiday over to January, Finland is the perfect option. Levi has all that you need for an unforgettable family holiday – keep your eyes peeled as you may just see the spectacular Northern Lights.